Energy giant Shell lobbied to have renewable energy targets reduced in the run up to an EU-wide agreement on curbing carbon emissions, new documents reveal. The agreement in question was brokered by EU states in October 2014 at the 2030 climate talks. After the deal was announced, then-European Commission (EC) president, Jose Manuel Barroso, said it signaled real progress for the fight against climate change. However, documents released to the Guardian under Freedom of Information (FoI) indicate a core section of the deal was put forward by a Shell lobbyist as early as 2011. As the 2030 climate talks came to a close, EU leaders finally backed a 40 percent overall target for the bloc’s cuts to emissions. Throughout the course of negotiations, member states differed on how they felt emissions could be curbed. Britain and other leading EU states resisted the prospect of binding targets for individual states on renewable energy and energy efficiency and the proposal was scrapped from the deal. But renewable energy advocates say this marked a missed opportunity to show global investors that the EU embraces clean energy. Shell is the sixth biggest lobbyist in the Belgian capital, allocating €4.25-4.5 million each year to lobbying ley EU institutions. Excluding Washington, Brussels is reputed to have the greatest number of lobbyists in the world. More than two thirds of these policy brokers represent corporate and banking interests. According to documents seen by the Guardian, Shell lobbied ex-European Commission president, Jose Manuel Barroso, in November 2014 to scrap the EU’s existing program for linking its carbon-slashing goals with binding renewable energy laws. Shell favored Europe’s embrace of an economy focused on low carbon usage rather than renewable energy usage. It stressed a market-driven plan of gas expansion could free up a total of €500bn (£358bn) for Europe as it transitions to a low carbon economy. “Gas is good for Europe, and Europe is good at gas,” the firm’s upstream executive director Malcolm Brinded wrote in a letter to Barroso. “Shell believes the EU should focus on reduction of greenhouse gases as the unique climate objective after 2020, and allow the market to identify the most cost efficient way to deliver this target, thus preserving competitiveness of industry,” the five page letter said. Brinded also stressed the importance of “protecting employment and consumer buying power” in a bid to increase economic growth. Participants in the 2030 climate talks told the Guardian Shell was the first lobbyist to push for a single target in Brussels, and its drive gave the concept momentum. 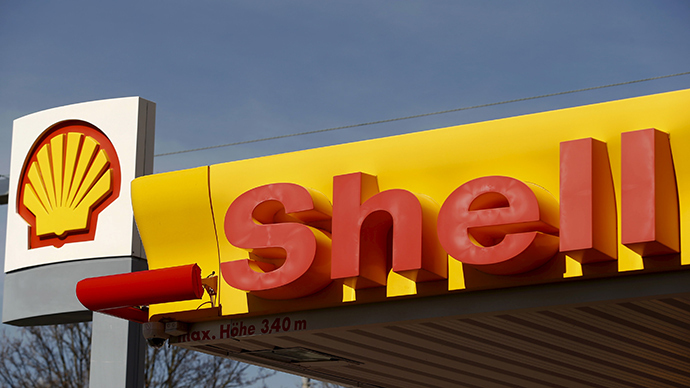 “Shell has a lot of clout in the UK, where they are very active in the policy debate,” a source close to the lobbying discussions told the Guardian. The energy giant’s ‘single target’ idea gathered considerable traction, particularly among advocates of nuclear power and shale gas. It subsequently became a cornerstone position of the UK government in talks between the Britain’s Treasury and the Department of Energy and Climate Change in mid-2013. The concept was later floated by Britain during schedule 2030 climate talks, with other EU states lending support. It was then incorporated into the final inter-state agreement last October.